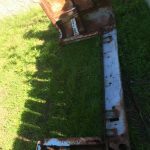 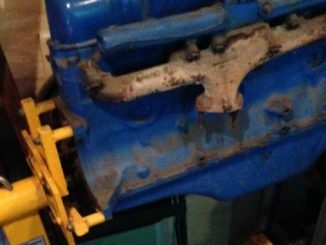 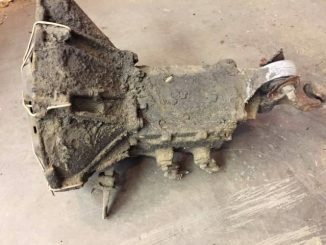 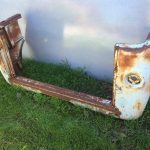 You are looking at the rear end section of a 1st gen Econoline pickup truck. 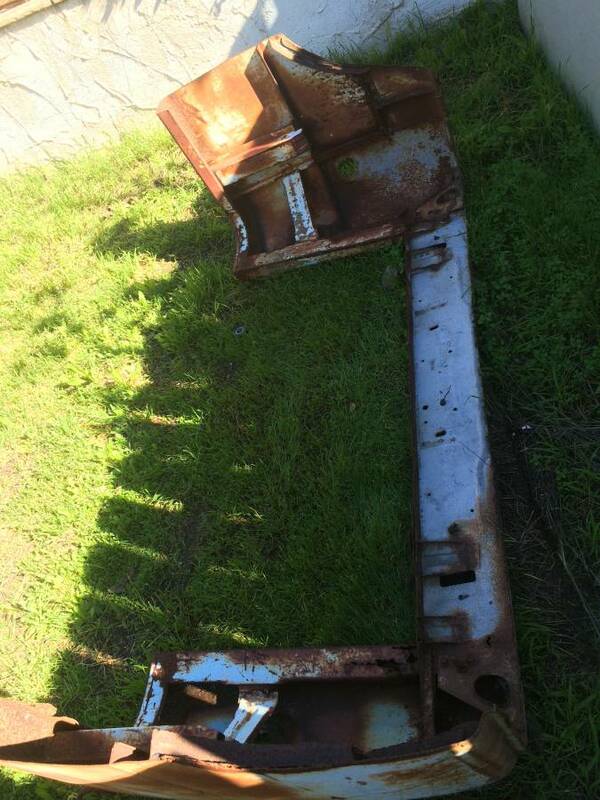 I was going to make a desk out of it but I’m not going to get around to it. 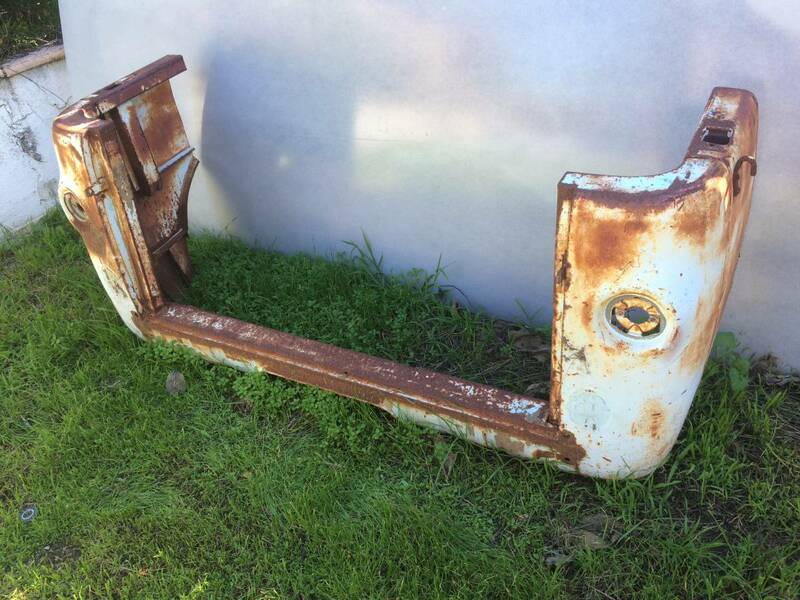 The rear quarters are good as is the rear apron, so it would be great for donor for your rusted out panels. 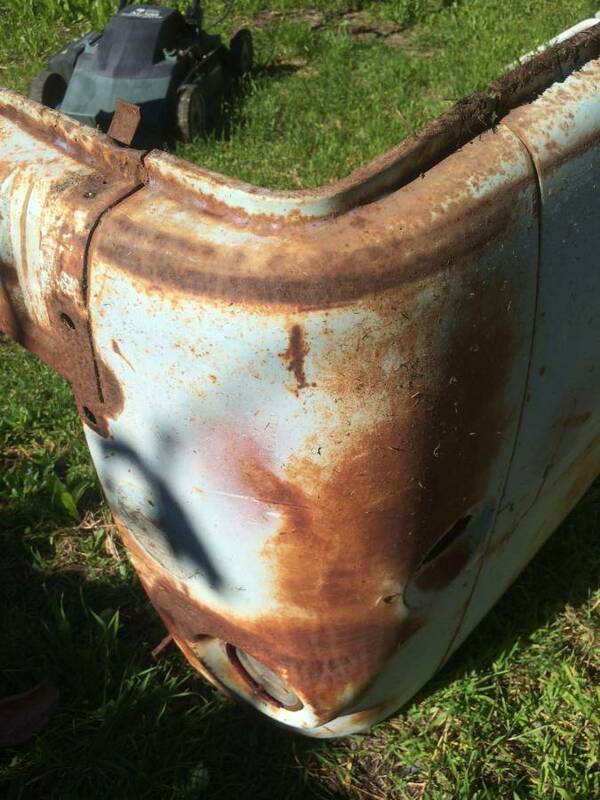 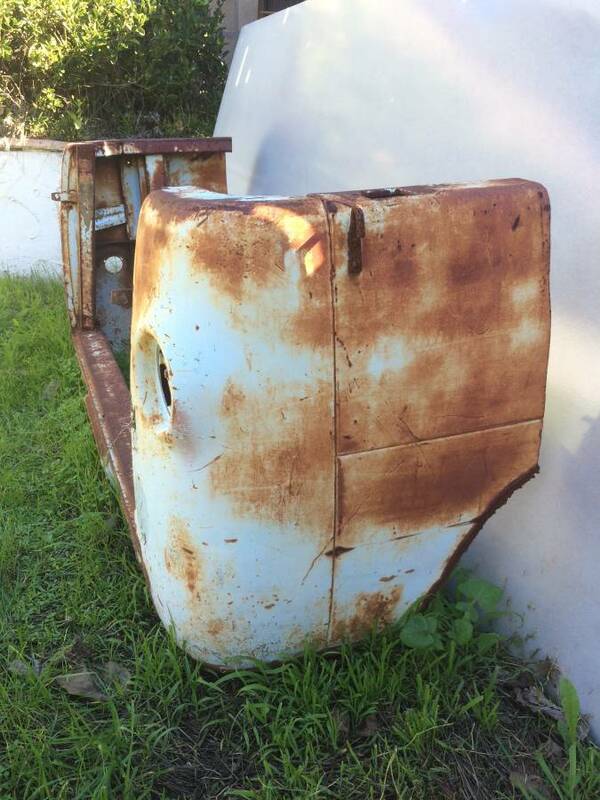 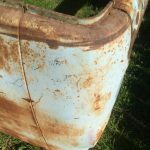 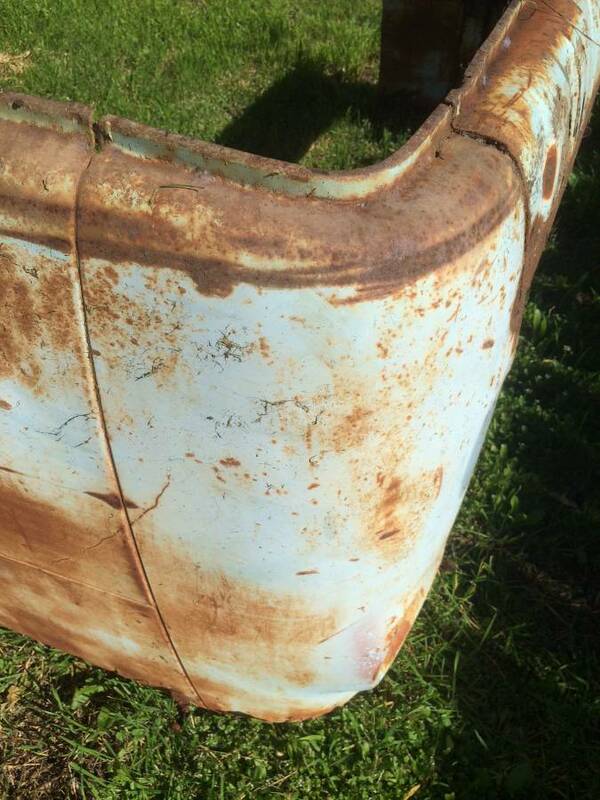 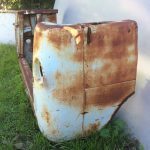 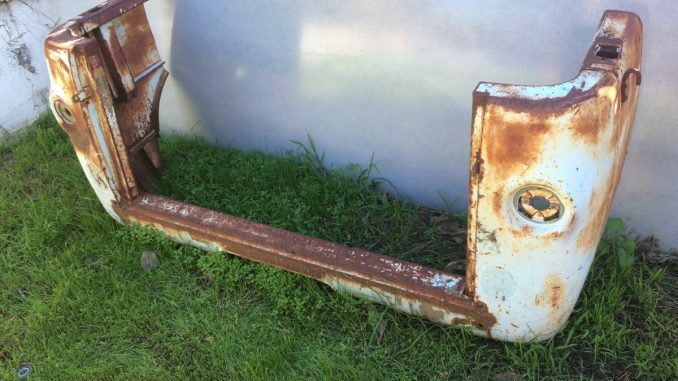 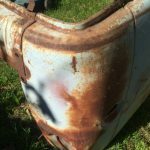 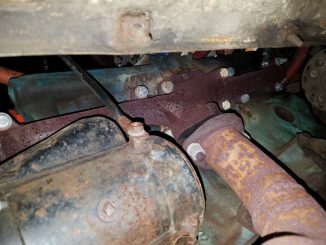 It has a bit of rust itself, by not in the corners or valance.